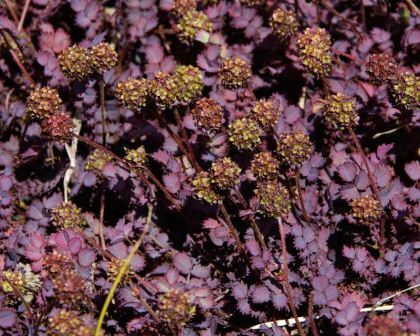 Acaena inermisPurpurea is a fast growing mat forming perennial often used as groundcover or in rockeries. Grown for it wonderful dusty plum coloured foliage. The pinnate leaves consist of many small leaflets with toothed margins and give the foliage a feathery appearance. 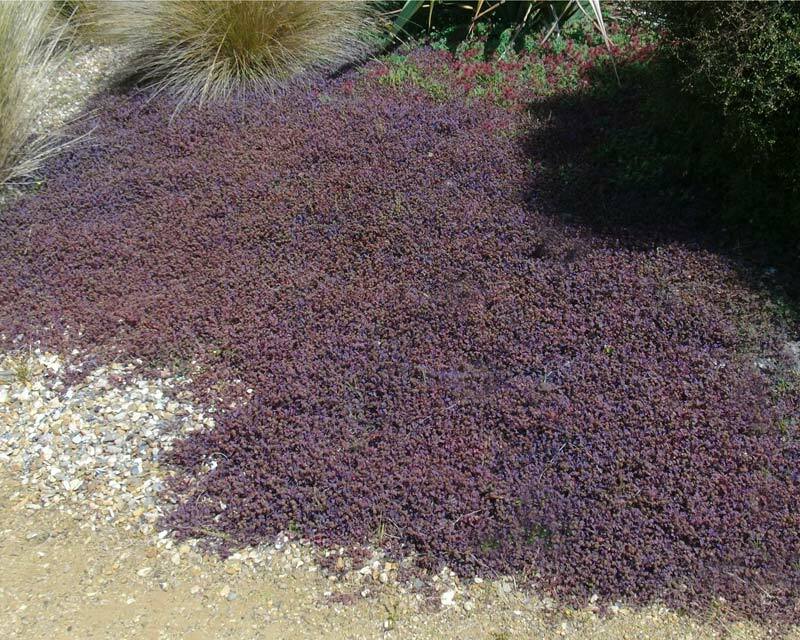 This makes a great contrast when planted beside Acaena novae-zelandiae. In summer insignificant light brown flowers are produced on spherical heads on top of upright stalks above the foliage. 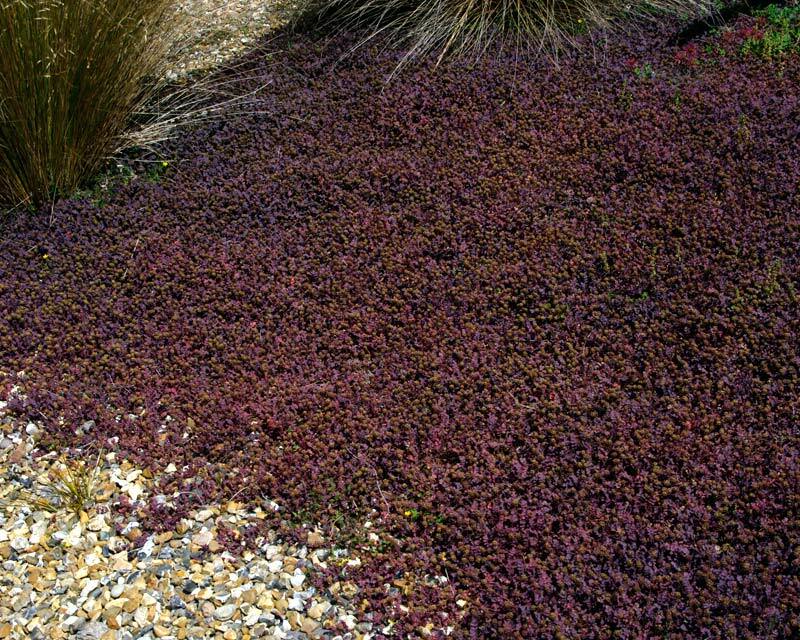 Grow well in rockeries, along walls, along the edge of paths, the leaves will be a darker purple colour in full sun. Soil: Well drained soil. Will tolerate poor quality soils. Maintenance: Can spread quite rapidly and become a nuisance. Stems touching the ground will grow roots, remove rooted stems to maintain size. Other Species: There are around 100 species of Acaena. 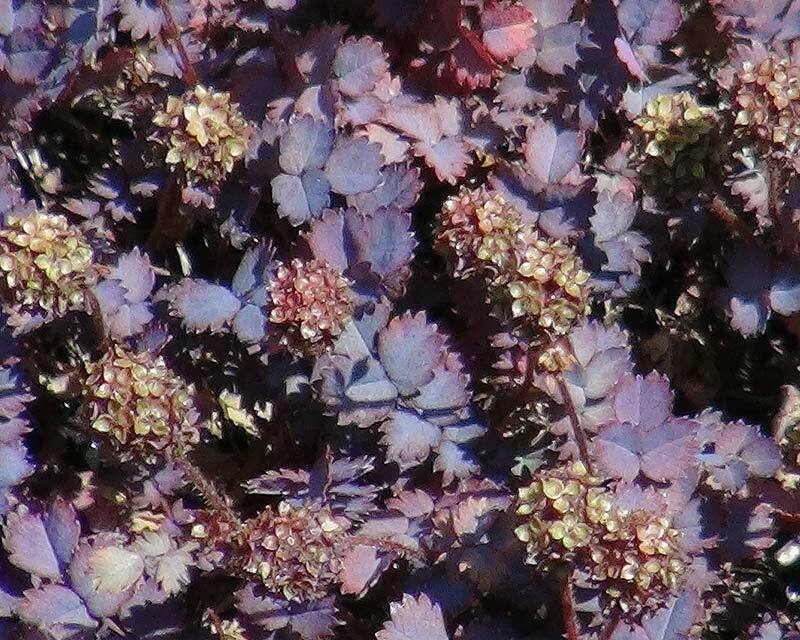 Most come from New Zealand however Acaena argentea comes from Peru and Chile.